Dubbed ‘the UK Oscars of Oriental cuisines’, The Golden Chopsticks Awards created by joint founder and host Gok Wan, held its inaugural award ceremony on Monday 16th April at the London Marriott, Grosvenor Square, to recognise and celebrate the enormous contribution of Oriental cuisines to the UK catering industry. With seventeen awards up for grabs for chefs and dining establishments throughout Great Britain there were some very notable names in attendance. The judging panel was led by none other than the master of Chinese cuisine Ken Hom OBE (who incidentally was awarded a Lifetime Achievement’s Award), TV Celebrity chef Ching-He Huang (below right with Gigi), Chef Jeremy Pang founder of the School of Wok and Chef Simon Rimmer (below left) of Sunday Brunch. Other judges included Fushia Dunlop, food writer specialising in Chinese foods, and Karen Barnes, editor of Delicious Magazine. 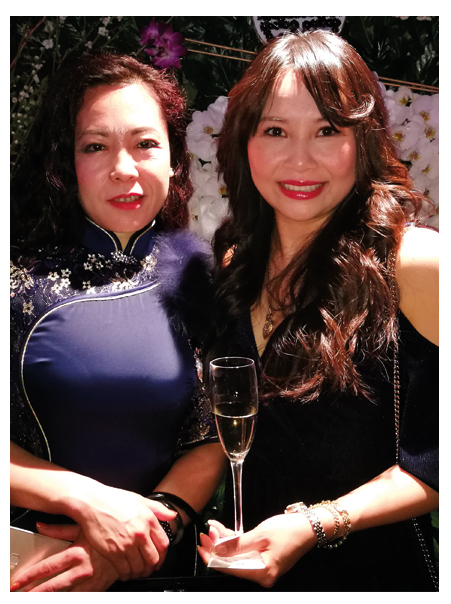 One award category during the evening was for Best Oriental Restaurant in Wales and that was deservedly won by our very own Gigi Gao’s Favourite Authentic Chinese, in Swansea Marina. 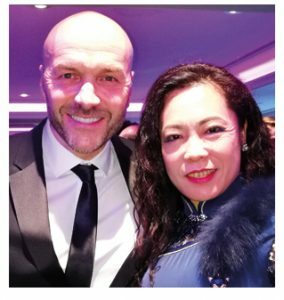 On the evening, attended by over 500 people including the renowned chef Pierre Koffman, Gigi collected the top prize for Wales from Gok Wan and Simon Rimmer, and she had the enviable opportunity to personally chat to Ken Hom during the evening. Ken Hom endorsed wholeheartedly Gigi’s philosophy to offer her customers a unique dining experience rather than merely serving food, and it is this approach that has proved so successful for her to date. If you haven’t yet experienced Gigi Gao’s Favourite Authentic Chinese, you are truly missing something special, the food on offer is healthy MSG free and truly authentic. The décor is typically Chinese, with many items personalised with the restaurant’s brand or specifically designed for the restaurant. We should also mention that there is live jazz played at the restaurant on Tuesday evenings and the venue is participating in the Swansea International Jazz Festival on both Saturday 16th and Sunday 17th June, Father’s Day!